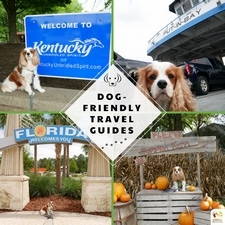 Dexter and I love to take dog-friendly day trips from Ohio. We are fortunate enough to be just over an hour away from Put-in-Bay, which is located on the western end of Lake Erie. 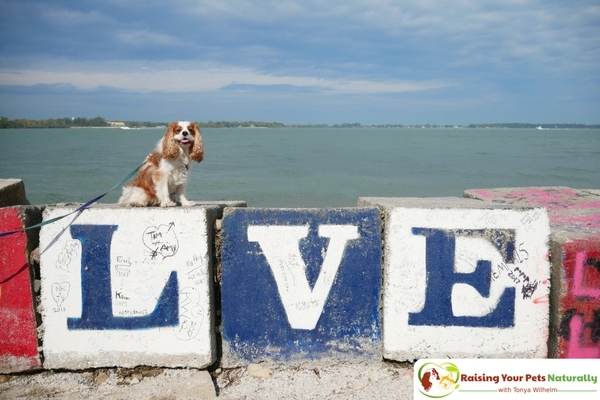 In 2014, we took a great dog-friendly day trip to Put-in-Bay, and when we read about their Octoberfest, we knew we had to go again! What I really appreciate about riding the Miller Ferry Boat Line is their friendly staff, smooth ride, and quick service. Dexter? Well, he enjoys the ferry ride and smelling all the fresh air. On this trip, a little girl was feeding the seagulls, and Dexter was intrigued watching them follow the boat. 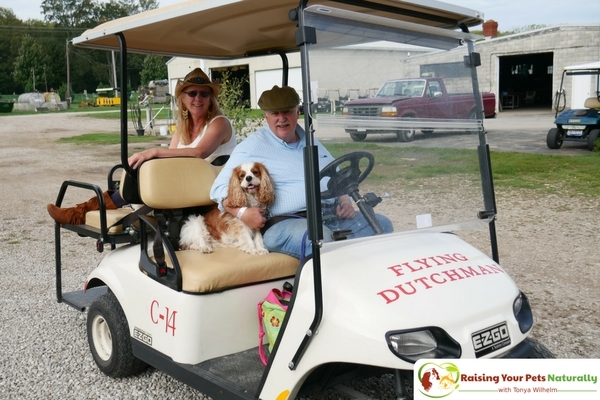 Once we arrived on the island, it was a quick walk up the hill to E’s Golf Carts for our Put-in-Bay golf cart rental. Put-in-Bay, also known as South Bass Island, is approximately 3.5 miles long and 1.5 miles wide. Given that Dexter has some mobility issues, having wheels was a definite must. Our first Put-in-Bay activity was to drive around the island in our golf cart. This was a great way to explore the island and make our game plan for the day. Dexter is a pro when it comes to riding a golf cart. I’m telling you, there is something about the wind in his ears and nose that really relaxes him. We decided to hit the 24th annual Octoberfest in Put-in-Bay. Admission to the tent was $4 a person for all day. There wasn’t an extra charge for Dexter. The tent was lined with many food vendors. If you enjoy German-styled food such as brats, potato pancakes, apple dumplings, stuffed cabbage, pierogi, cabbage and noodles, schnitzel, and pies, this was the place to be. A lot of tables were available both inside the tent and outside. Dexter was impressed by the live polka and German band. After lunch, we hopped back in our golf cart and headed to the Perry Peace Memorial Visitor’s Center. Put-in-Bay isn’t just a fun place to visit in Ohio; it is also rich in Ohio history. I asked if Dexter could accompany me, and we were given the green light. During the War of 1812, western Lake Erie was front and center in the war between the United States and Great Britain. Put-in-Bay served as the base of operations for Oliver Hazard Perry. It was from this harbor that Perry sailed and defeated the British fleet under Robert H. Barclay. 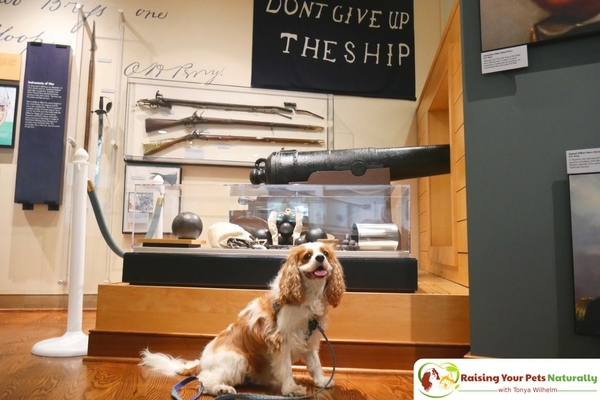 If you enjoy American history, Put-in-Bay is a great place to visit. After a little Ohio history, we jumped in the golf cart once again, and headed to Scheeff Point Park. The preserve has a lot to offer, including a walking path, bird watching, and fishing access. We took the time to walk around the shoreline, and Dexter enjoyed all the smells of Lake Erie. By this time, we were all bushed and decided it was time to call it a day and head back to the Miller Ferry Boat Line. 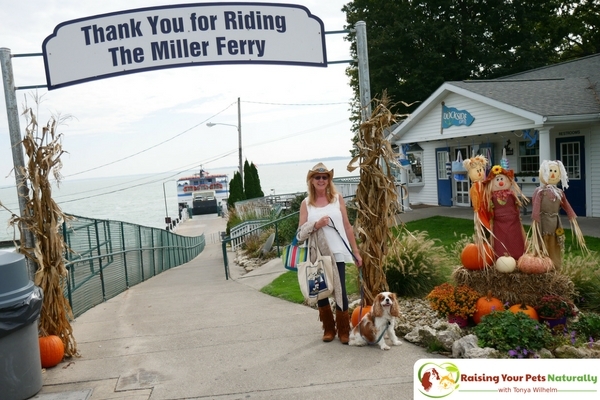 Once again, we had such a great dog-friendly day trip to Put-in-Bay. 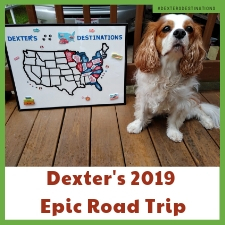 Dexter and I are already planning for our next trip; maybe next time we will visit another one of the islands. 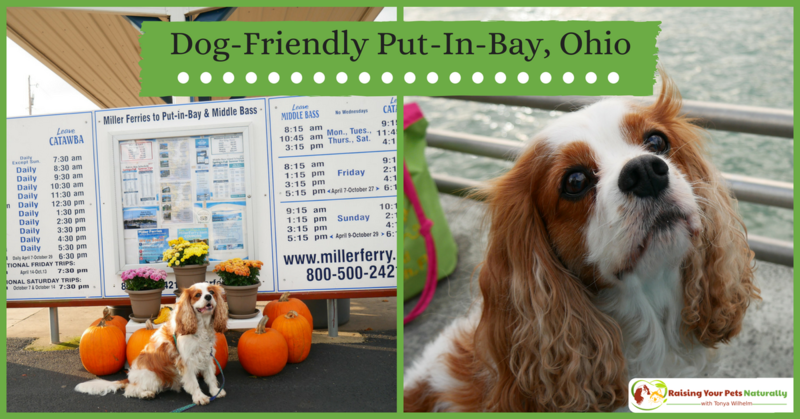 If you are heading to Put-in-Bay with or without your dog, check out the Miller Ferry Boat Line and E’s Golf Carts! You will be happy you did. What was your favorite day trip with your dog? Tell me in the comments. Such a sweet dog you have. i recently got a dog. I call him Browny. he is just lovely. pets are the best friend you can ever have. he always improves my mood. i the best to Dexter. 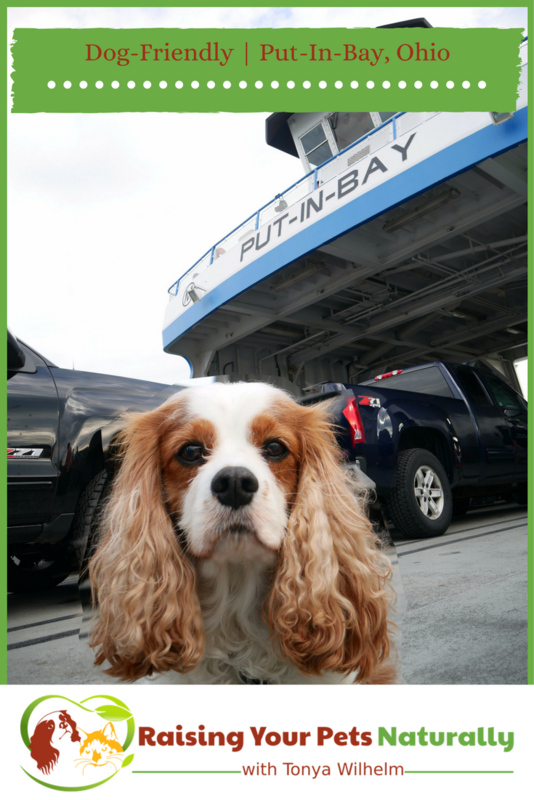 It’s been a long time since I’ve been to Put-in-Bay, but I never thought about going with my pets! 🙂 It’s always better with the furry one. This place looks adorable, I have yet to visit, sounds like you had a wonderful day and your dog is so sweet. Aww, thank you so much. Yes, such a great day. We love making memories. Dexter is GORGEOUS!!! I have been to Put-in-bay twice but not since 10 years ago. I ineed to go back. I forgot houw fun it was. Thank, you. Yes, so much fun! I think we need to stay the night next time. So much to do. Sure, thing. In Ohio, on Lake Erie. Ferrets, fun! I am so glad that there are places that open their doors happily to our furry friends. E’s Golf Carts and Miller Ferry Boat Line are doing a great job! In India, it is almost impossible to find dog friendly tours or trips. Thanks, Khushboo. That’s a shame. It’s so much fun to be with our entire family. Traveling with pets sounds like an interesting journey. Your dog is so lovely and beautiful. I’m happy that he enjoyed the trips in Put-in-bay. 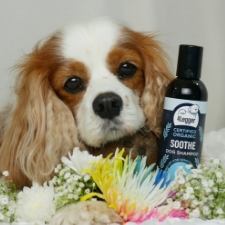 Thanks for sharing sweet photos of Dexter. Thanks, Thu. I really enjoy traveling with Dexter. He allows me to think outside of the box for fun ideas. Yay! your dog looks so adorable. I am a dog lover too and we have quite a number at home. I always look forward for an opportunity to bring some of them to a pet-friendly place. Hi, Jessan. 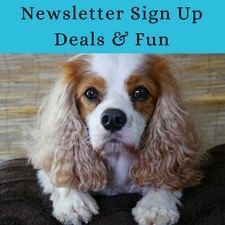 You and your pets would probably really enjoy a Put-in-Bay adventure! Looks like so much fun time for Dexter! I’m so happy that these days there are so many dog friendly places! I don’t have a dog so pet travel isn’t an option for me. but your puppy sure is a cuitepie. How cool that it is dog friendly! My favorite trip was just one to lunch and flying a kite. The dog had a blast. OK, now I want to take Dexter to go fly a kite! I love this! 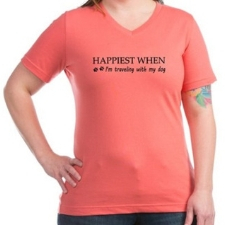 Sometimes pet owners really want to bring their pets on vacation, so this is so great for them! They all sound like fun ideas too! 🙂 Yes, vacations and day trips with pets are the best! Awww a day to spent with your dog, what a treat for both of you! I wish I could it with my cat too. Oh wait, I actually do but on the couch, lol! hahaha I’ve seen some cats out on adventures, too. My kitty prefers to window watch. That looks like a great day. I wish we could take our dog on trips like that but she gets far to anxious! Enjoy! Sorry, Athena. I know about dog anxiety too well. You can search my blog for anxiety for some training tips and pointers. Yay!! I have a friend who is awesome at finding the most dog friendly places locally but I’ve never looked outside our town. This is good to know for if we ever visit Ohio! Its always a fun vacation when the dogs can be in on the adventure! It can also be a lot of work but super fun! 🙂 Very true. It definitely takes some planning. Your dog is the cutest! Europe is a dog-friendly place. You can even take them into restaurants, especially in Italy. If I am in the area, I will definitely check this out. We took our dog with us last year for the first time. I absolutely LOVED having him with us. I love the way your dog is smiling in all the photos!!! So cute!